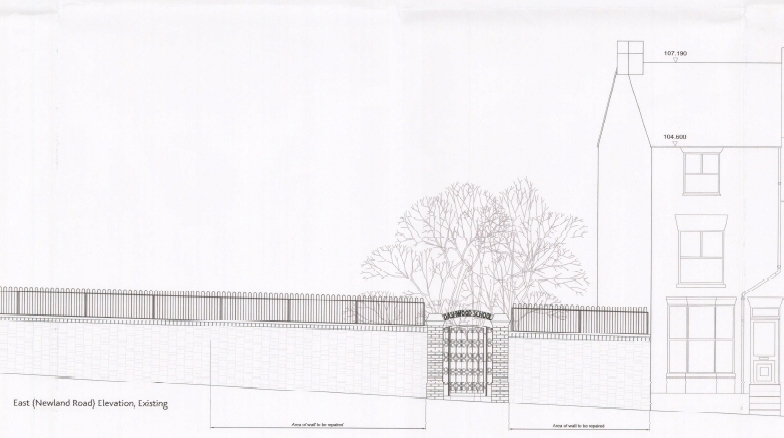 Newland Road wall changes – what do you think? There’s a new planning notice up at the moment, giving details of changes the builders would like to make to the wall on Newland Road. Apparently structural problems mean these changes are needed, but the plan also involves lowering the wall to allow light in to the windows of the new house. Overall the wall changes look reasonable, but the elevation shows quite how tall the new houses are going to be further up the hill – and also how they don’t appear to match the style of houses they adjoin. Like other new-build dwellings nearby, the brick is new and the windows are mean. I’m disappointed. You can see the application, 12/00199/CAC, by going to http://www.publicaccess.cherwell.gov.uk/online-applications/ and if you log in, can also leave comments. One Response to Newland Road wall changes? 1. Surely someone should have thought about the light problems before now!! 2. The wall is totally out of keeping with it’s surroundings. 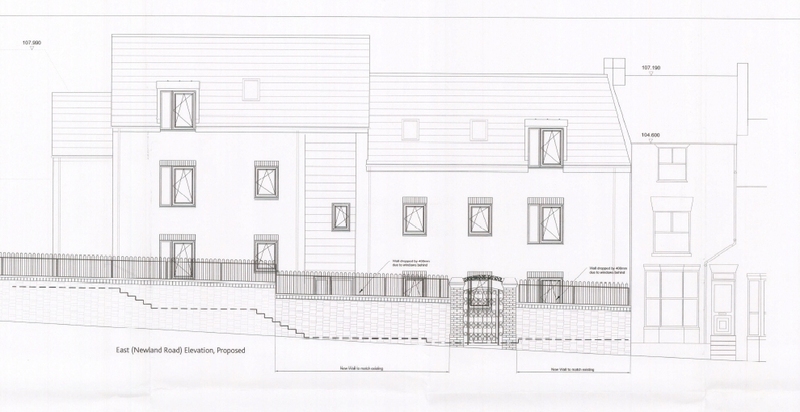 Presumably the builders (and planning authority) approved the original drawings so they should have to live with their mistake – but then they will want to maximise their investment so we will have to put up with it! !